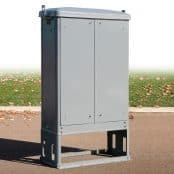 A 60kVA 100A 3 phase electricity supply shall be provided. 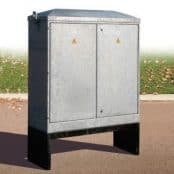 This supply shall be terminated in a 100Amp 3 phase service cut-out mounted on a class 0 timber backing board within a Landlords feeder pillar. 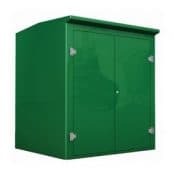 The feeder pillar / control cabinet shall be vandal resistant IP65 hot dipped galvanised steel cabinet as per the Lucy Fortress Pillars or equal and approved. 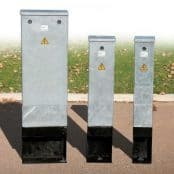 The feeder pillar shall be painted to match the lighting columns and fitted with a Yale Lock or equal and approved. 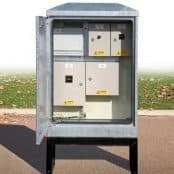 Provide a new 100A 3 phase metal cased distribution board enclosed within a feeder pillar to serve the landlords services i.e. 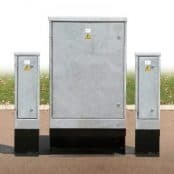 external lighting, vehicle charging points, CCTV, petrol interceptor. 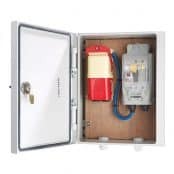 All distribution boards shall be provided with integral main switch disconnectors miniature circuit breakers, blanks, lockable doors and 3 sets of keys to each of the door locks. Provide PVC/PVC insulated single core cables from the service cut-out to the revenue meter and from the revenue meter to the distribution board. Distribution boards shall generally employ type C miniature circuit breakers for final sub circuit protection. The distribution board shall be provided with Class II surge protection as detailed in BS EN 62305. 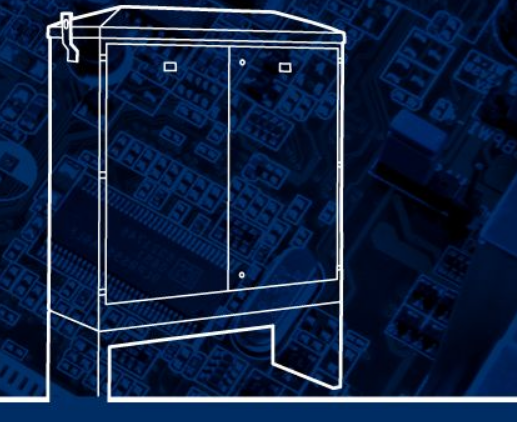 The distribution board shall be sized to include a minimum of 25% spare outgoing ways arrnaged evenly over each phase, which shall be fitted with individual blanking plates. Distribution boards shall employ miniature circuit breakers for final sub circuit protection. 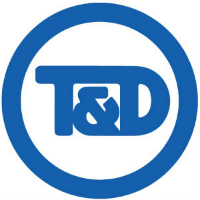 Circuit breakersshall be selected to take account of the thermal and magnetic effects of loads serrved, taking due account of any starting currents. Particular care shall be taken when selecting circuit breakers protecting circuits supplying LED driver units. 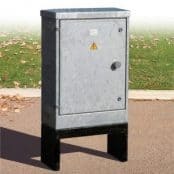 Distribution boards shall be labelled and scheduled in accordance with BS7671 – miniature circuit breakers shall comply with relevant British and European standards.